Howard Baker joined the faculty of Denver Seminary in 2006 as instructor in Christian formation. He has been an adjunct faculty member since 1995. Together with Dr. Bruce Demarest in 1999, he began the Seminary’s certificate program in evangelical spiritual guidance. In addition, he has served as a board member for Spiritual Formation Alliance and Young Life Africa, offers spiritual direction, leads retreats. Currently, he is a board member and teacher for Nexus International, on the faculty of the Soul Care Institute, and on the Board of Potters Inn, a soul care ministry. Prior to coming to Denver Seminary, Mr. Baker served Young Life, a mission to adolescents, as an area and regional director; was a chaplain at the Denver Rescue Mission; co-taught the Vincentian Formation Program for spiritual directors; and was adjunct faculty at Fuller Seminary. He has taught as a visiting faculty member at St. Meinard Seminary, Summitt Bible College, Colorado Christian University, and Evangelical Theological College in Ethiopia. 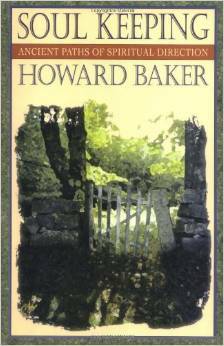 He has authored Soul Keeping and The One True Thing, contributed to The Holy Spirit: An Unfinished Agenda, The Transformation of a Man’s Heart, Giving Ourselves to Prayer, The Renovaré Spiritual Formation Bible, and was consulting editor for Between Heaven and Earth: Prayers and Reflections that Celebrate an Intimate God. He has written articles for Christianity, Discipleship Journal, Journal of Spiritual Formation and Soul Care, Kindred Spirit, and is a section editor for Conversations Journal. Gospel of John, biblical discipleship, patristic spirituality, spiritual direction, Psalms as prayer, kingdom of God. 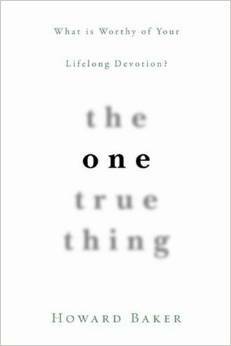 The One True Thing: What is Worthy of Your Lifelong Devotion? NavPress, 2007. Soul Keeping: Ancient Paths of Spiritual Devotion. NavPress, 1998.